This morning, the Disneyland Resort announced exciting news for about 5,000 sixth-grade students in Anaheim, as part of the Disneyland Resort Diamond Celebration. 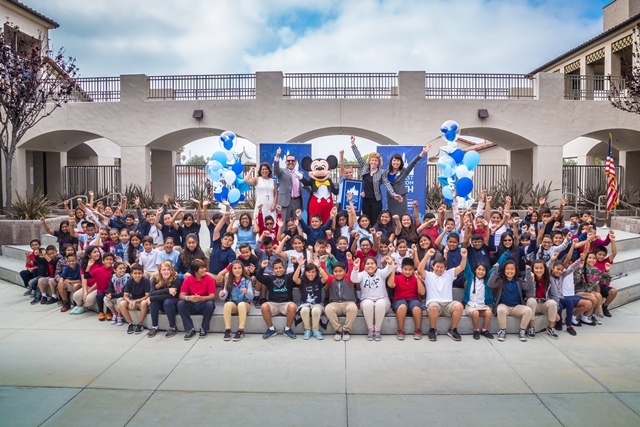 For the next 10 years, every sixth-grade student in Anaheim elementary schools will have the opportunity to receive a Disneyland Resort Park Hopper ticket after completing a project that enriches their school or community! 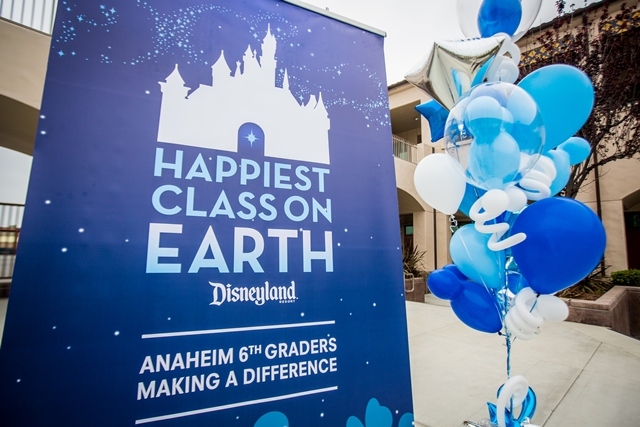 The ticket donation program is called Happiest Class on Earth: Anaheim 6th Graders Making a Difference. 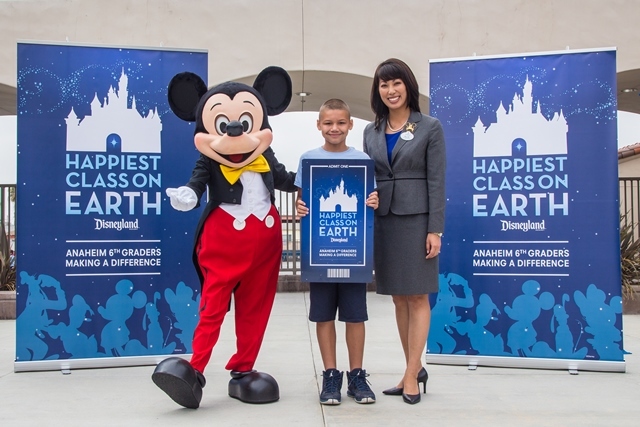 Disney Ambassador Allie Kawamoto, along with Mickey Mouse, made the announcement to students at Horace Mann Elementary School in Anaheim, who burst with excitement. One student, Nathaniel, was recognized for the ways he volunteers, including at a senior living facility and hosting book sales and coin collections for community causes, to give his fellow students some inspiration. Each school also will be given a suggested list of actions that students can take individually or as a class. Schools are welcome to determine their own good works to address their needs, from organizing a school-wide playground cleanup to recycling on campus. For more information: Contact Melissa Britt in Disneyland Resort Media Relations at Melissa.b.britt@disney.com or (714) 781-6326.